Campanula: Purple bells - graceful in a summer breeze! 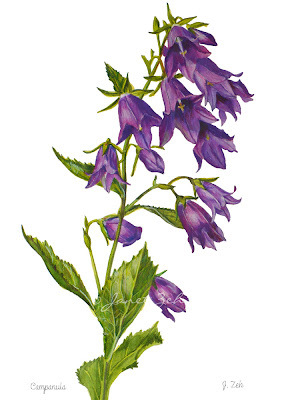 Bellflower Botanical print comes in multiple sizes and may be ordered framed, unframed or on canvas. Click the Order Print button below for sizes, options and prices.